Everyone is familiar with the problem of inflation due to increase of fuel price. Even we ourselves as the average consumers are affected by the increase of fuel price, not to mention about the bottom billions. More money is spent on petrol and even more on goods yet salary of the people are not increasing at the same time. A team from Universiti Sains Malaysia had inspired by this problem. The team believe that by controlling the fuel usage for delivering goods by vendors and companies, it could contribute to maintaining the price of goods even when the fuel price increases. Their solution is a management system, which is used to manage the fuel usage of delivery trucks. Through a more effective fuel utilization, this will help maintain the price of goods and therefore prevent inflation, which is good news for everyone, especially to the bottom billions and below average families who are having problems coping with the higher cost of living nowadays. With their solution, they aim to solve the first Millennium Development Goals, which is end poverty and hunger. 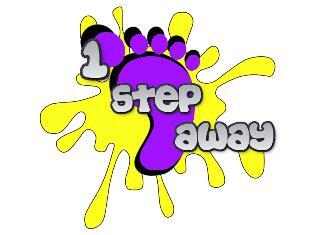 Meet the mastermind behind this great idea, Team 1StepAway. The team consist of Ng Poh Sing, Steven Chan Yew Choong, Tan Chee Yong and Hoong Jo Lynn. All of them are from Universiti Sains Malaysia (USM), Malaysia. They are all course mate and currently in second year of Degree of Computer Sciences. Not much second year students dare take the initiative to join Imagine Cup, I’m proud of their courage. So how they came across Imagine Cup? They came across Imagine Cup through school’s promotion. The school showed to them how past year students competed in Imagine Cup and also achievements on both local and international competition. That inspired them, and together with encouragement from lecturer, they finally joined Imagine Cup this year. They are very excited about Imagine Cup as this is their first time joining Imagine Cup but yet very worry too! Although they don’t have 100% confidant but they will give their best in whatever they do! I bet they must be expecting a lot from Imagine Cup especially from what they have been told by their seniors and lecturers at school. So what a team of second year students expecting from Imagine Cup? 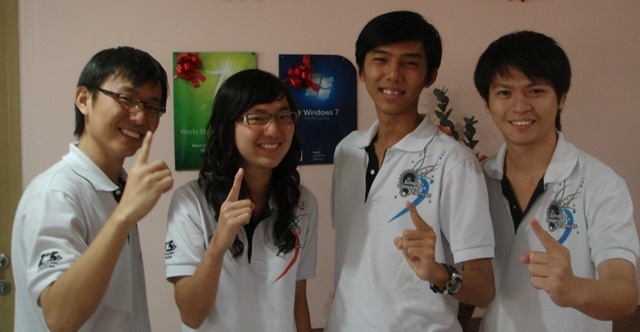 They had made it into Top 30 of Imagine Cup 2011 Malaysia of Software Design category. I shall see them in Imagine Cup 2011 Malaysia local final at Kuching, Sarawak. No matter what is the outcome of the competition, the team is definitely making a different than other students. With their success, I hope their story can inspires more students to join in Imagine Cup especially the second year students. For future update of the team, stay tune. Hi, I am the MSP from Mainland of China, I am also partcipating in the social media competition, could I ask you to write some words to the imagine cup as I am organizing an online activity…..
Link of the team you reporting? Anything I can help you to write? Although I can read Chinese, but I can access to RenRen due to I don’t have an account.